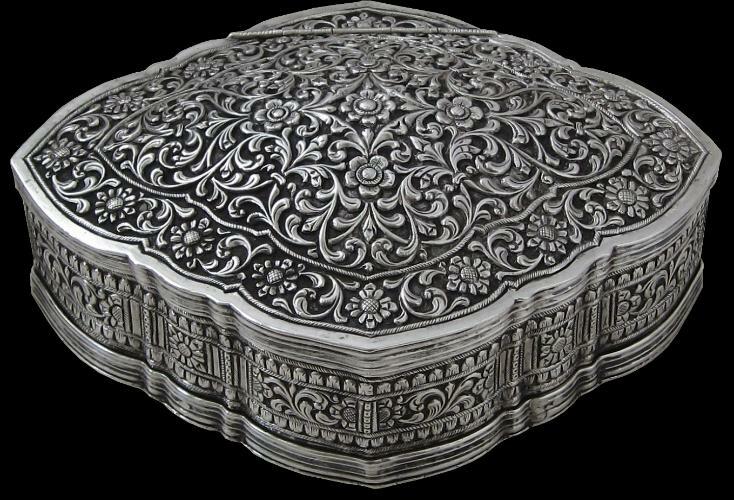 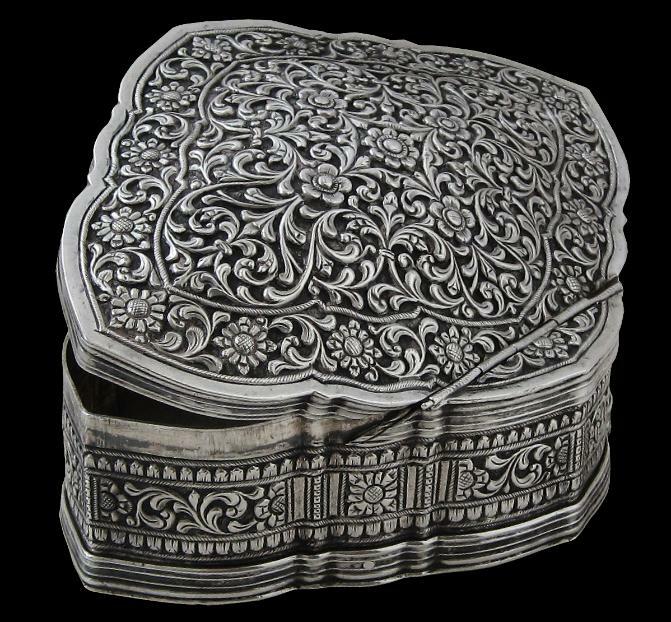 This elegant box with a hinged lid is finely repoussed with scrolling floral and leaf motifs typical of central Sri Lanka. 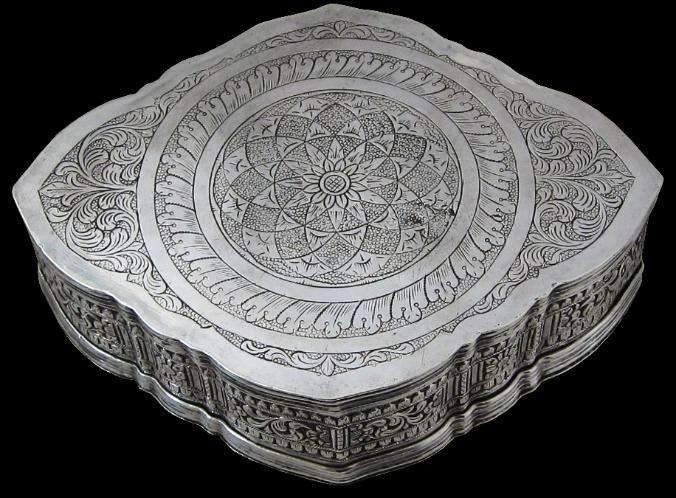 The lid fits tightly over the base and the overlap of the lid has been cut at a sharp angle at the rear of the box to accommodate the hinge – an unusual device. 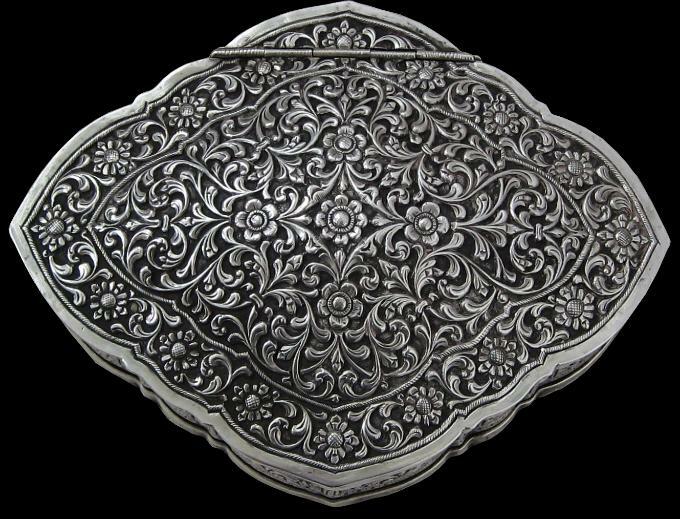 The base is finely engraved with a central solar roundel decorated with a lotus bloom motif, within a scalloped foliage border.